I present to you a brand new view of the Nielsen Ratings. I have received SEVERAL emails from readers requesting the frequency be included. Well, actually only one person requested it... continuously. It's all good. I understand. It should be on there. I just really never knew how to create it. Fortunately, my new 'assistant' happens to be a pro at Microsoft Excel and has created this great layout. 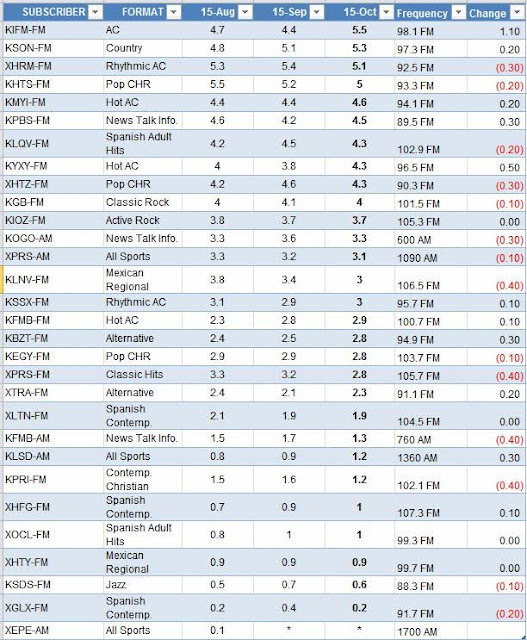 You will see in addition to the frequency added, there is also a column for changes since the last month. Hey, thanks for including the frequency! Makes the ratings much easier to read. I wasn't the person who kept bugging you, but nice to see the change. KIFM is on a rocket ride up. Where do you think the KPRI listeners have scattered to? I kid, I kid. Your work on the Nielsen ratings as well as the entire site is all very much appreciated. Keep up the good work! If KPRI had a decent amount of audience to scatter around, they'd still be in business.. 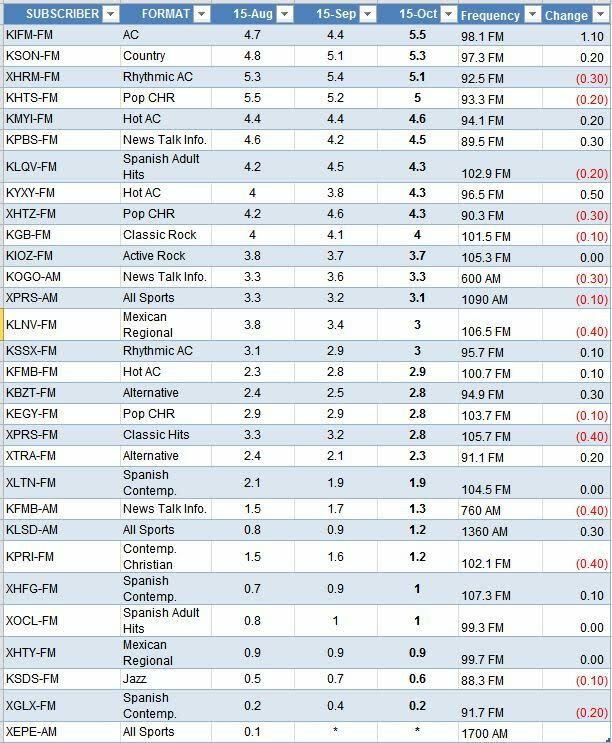 It is hard to believe there are still this many radio stations in San Diego.